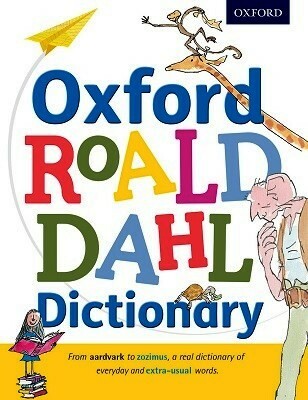 Anyone with even the tiniest bit of admiration for the English language will love the Oxford Roald Dahl Dictionary, a work of love (and gobblefunkery) compiled by Dr. Susan Rennie, a lexicographer who has worked on many dictionaries for children and adults. The title Oxford Roald Dahl Dictionary may sound like a description of a stuffy and ordinary old dictionary, but that’s just not true. 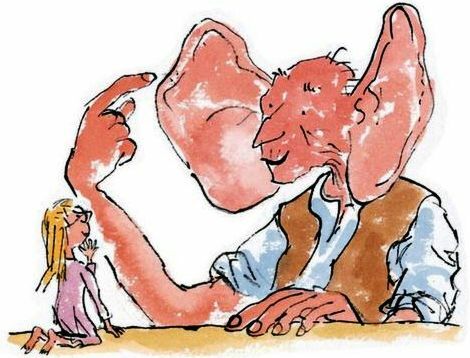 It is a careful blend of the “real living language of children” today that we see in the English language, like “aardvark” and “grizzly;” and all the delightfully playful words that Roald Dahl (author of Charlie and the Chocolate Factory, The BFG, and Matilda) invented for our enjoyment, like “frumpkin pie” (P. 94), “snitchet” (P. 230), and “ucky-mucky” (P. 266). Young readers will learn words like “churgle” (P. 44), which means to “gurgle with laughter,” and “dogswoggler” (P. 66), which is someone who is very silly and makes no sense whatsoever. 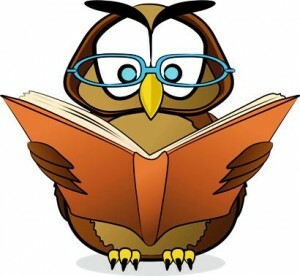 They will also learn to identify many mystical creatures, including the Fleshlumpeater (P. 86), the “humplecrimp” (P. 122), and the “Manhugger” (P. 147). This delightful book is 287 pages of fun and surprises. A very detailed chart called “How to use this dictionary” explains…well, how to use the dictionary. For example, children quickly learn that headwords in blue are invented words, the alphabet down the side of each page shows where the reader is in the dictionary, and “Ringbelling Rhyme” words that help children write their own poems or songs.